Vegetable glycerine really is a wonder product! Add a few drops to your bath for smoother skin, use it on your body, hair and even food! It will add a hint of natural sweetness to your dishes. The 16 fl. oz. 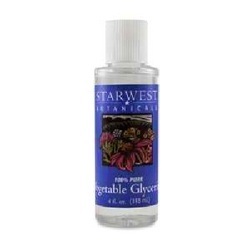 bottle won't last as long as you think because vegetable glycerine really is the jack of all trades! 100% pure.